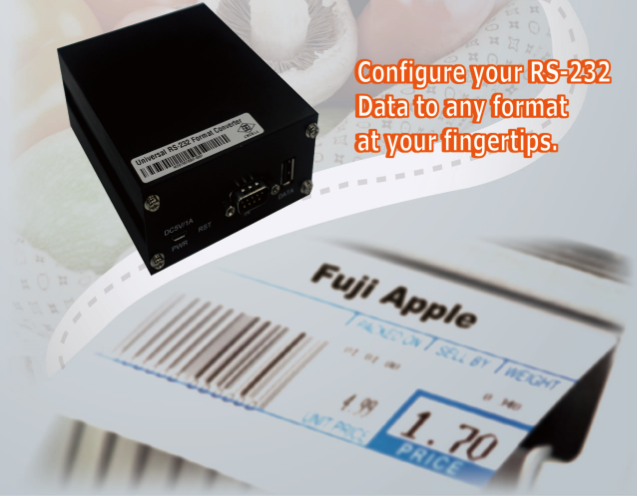 EXCELL today introduced 『Universal RS-232 Format Converter』, a device for you to configure your RS-232 Data into any format at your fingertips. This premier performance converter offers a unique format-converion solution for the data output from any instrument or devices with RS-232 interface. "Users getting data from scales and RS232 instrument or devices, face a number of unique challenges of changing RS-232 data format to what to be used at work," said Jeff Chien, Vice President of Sales and Marketing at Excell. "The industry-leading performance and configurable nature of Universal RS-232 Data Format Converter make it the ideal solution to address these challenges, while at the same time enabling users to save data to USB flash drives or trasmit data directly to the label printer."